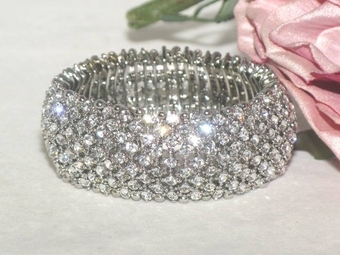 Velina - Beautiful Swarovski crystal Bridal bracelet - SALE!! HOME / BRIDAL JEWELRY / Wedding Bracelets / Velina - Beautiful Swarovski crystal Bridal bracelet - SALE! !